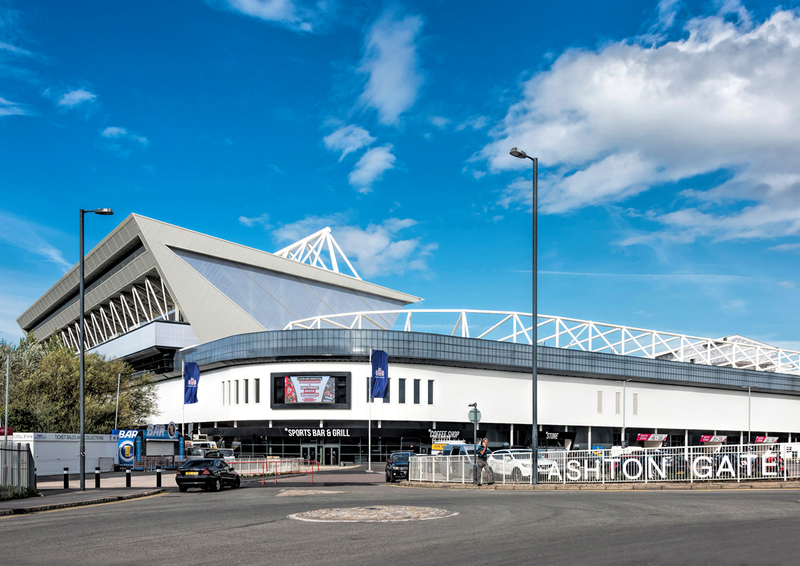 Ashton Gate Stadium in Bristol, England is the home of Bristol City Football Club and Bristol Rugby Club. 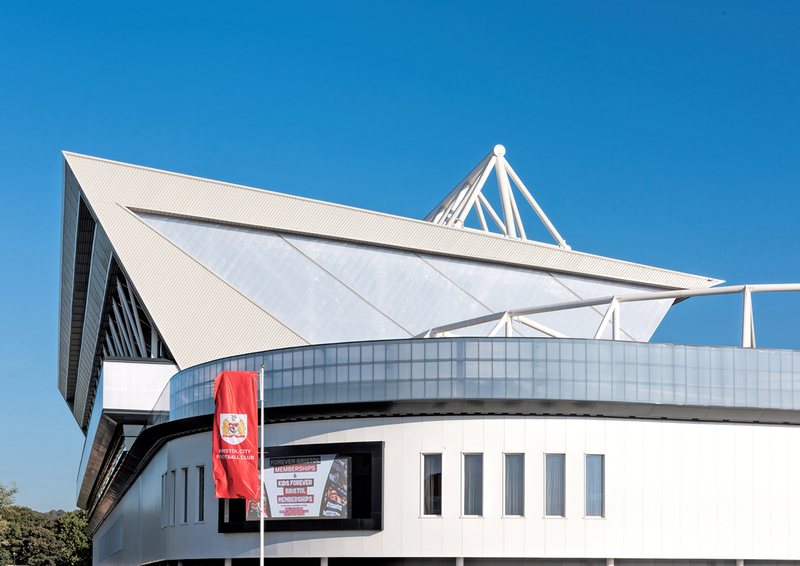 Following a two and a half year redevelopment, the works were completed to provide a 27,000 all-seated capacity for the start of the 2016/17 season. 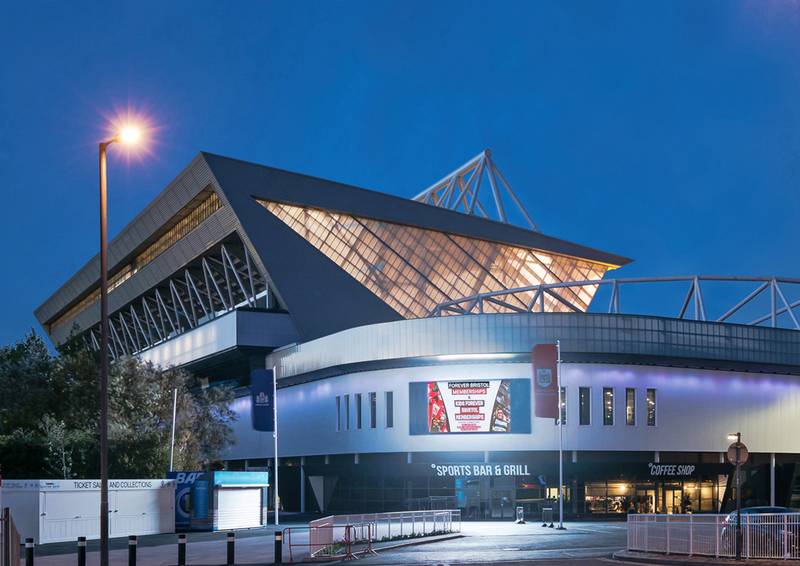 KKA Architects designed the new facilities, constructed by McLaughlin & Harvey with Massey Cladding Solutions installing the cladding envelope. 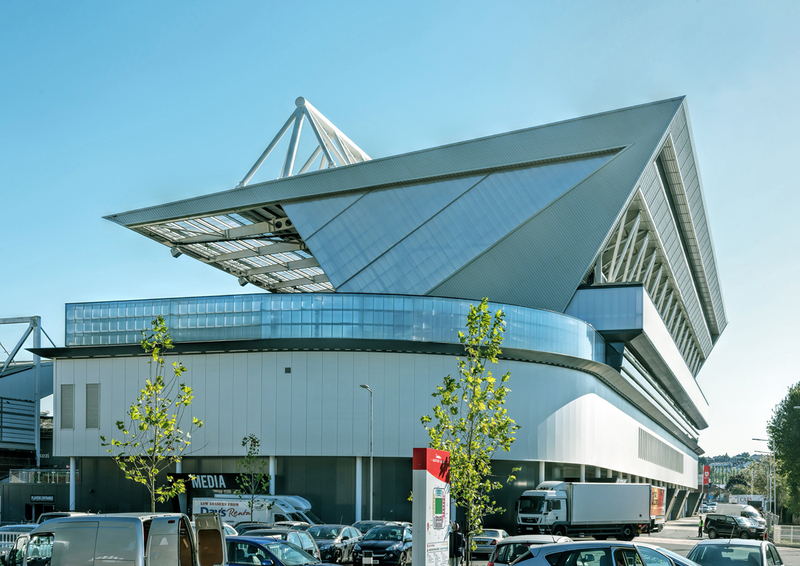 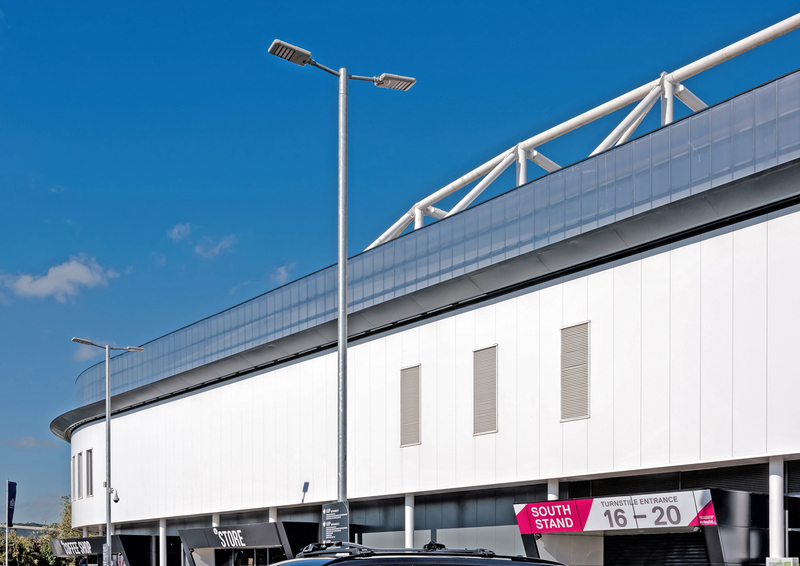 Everlite Concept manufactured the Danpalon translucent cladding running along the length of the Lansdown Stand concourse. 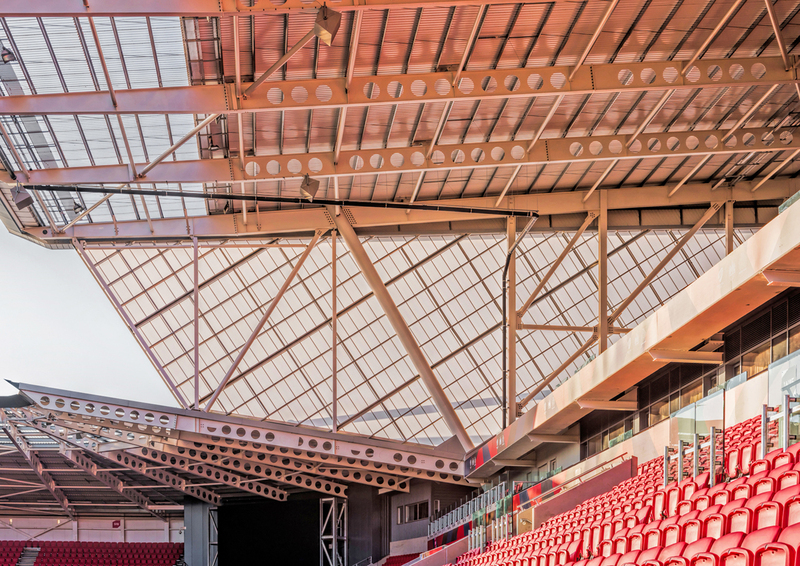 The inside of the concourse was quite contentious for flexible materials. 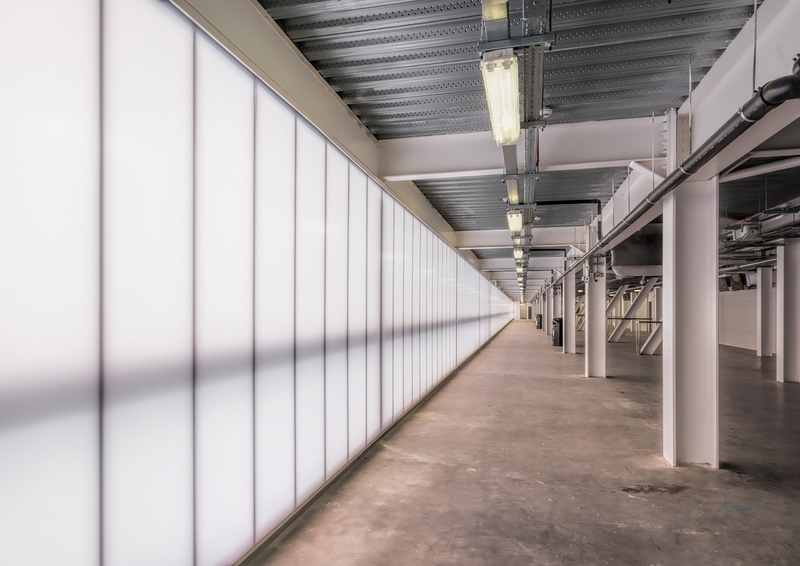 Everlite Concept was able to use the Danpalon double system to the concourse area (effectively robust enough to be utilised directly adjacent to people in a gathering area from floor to ceiling). 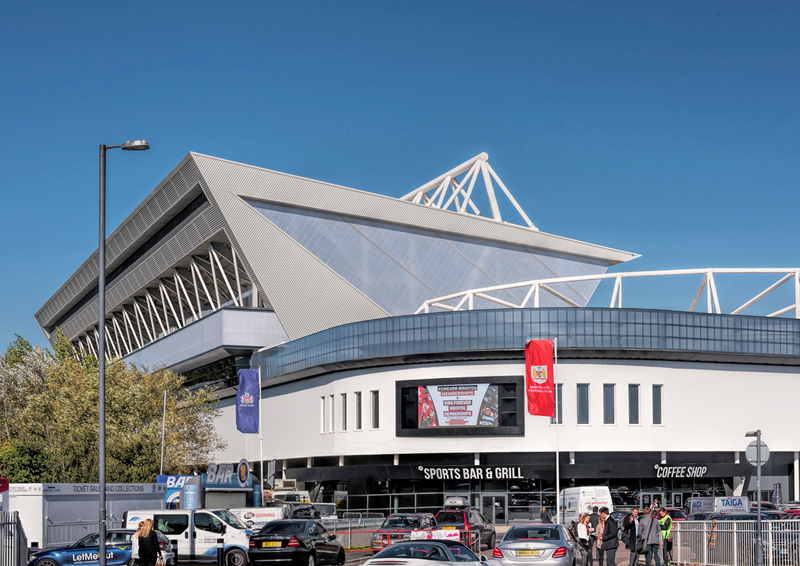 Danpalon can also be seen to form the gable ends of the Lansdown Stand as well as providing effective plant screening around the South Stand and Lansdown Stand. 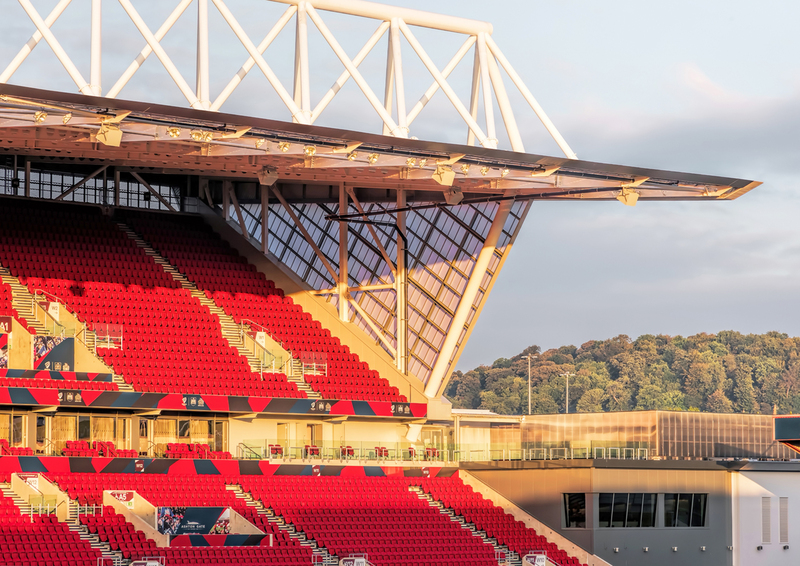 The best light to photograph the Lansdown gable ends was at Sunrise, which turned out to be worth getting out of bed early. 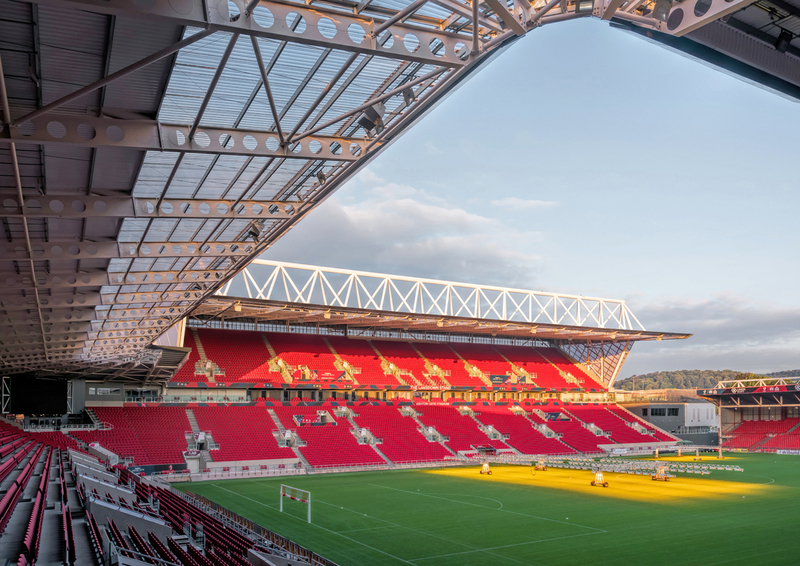 The interior photography of the Lansdown concourse is worthy of note, providing sharp detail throughout the entire length of the Stand.